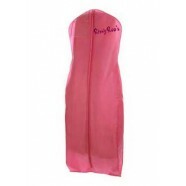 Dazzle everyone in this perfectly elegant and stunning dress that's great for your next formal event, or homecoming. With a flattering rouched bodice and A-line silhouette, you'll dance all night comfortably with the beaded one strap detail that cascades down to the asymmetrical waist. The rouched and strap detail continue to the back with a side zipper closure.